Where would we be today if a small, mission minded group of pioneers had not found space in a strip mall in Roseville in 1996 to form St. Matthew Lutheran Church? The foundation of our warm, welcoming enthusiasm to follow Jesus’ command to go and make disciples was born and a short five years later, St. Matthew had grown and needed more space. So, everything was packed and moved to a larger space in another strip mall just down the street. The Holy Spirit continued bringing people to St. Matthew and, following our pioneering spirit, the congregation raised money, purchased land, and constructed abuilding on Lonetree Blvd. in Rocklin. We need more space for… everything. We’ll be giving you information each of the next five weeks to share the facts and answer your questions before the voters’ meeting on July 28th. Please continue praying about this opportunity for, and decision of, the St. Matthew Lutheran Church congregation. Can we afford to buy a new building? Yes! There is a way we could purchase the new building without increasing our monthly mortgage. If we sell our current property and apply the net proceeds as a down payment for the new building and we set aside $275,000 for things like new carpet, painting interior walls and other minor modifications the new mortgage payment would be approximately $10,555 per month which is virtually identical to our current payment of $10,500 per month. 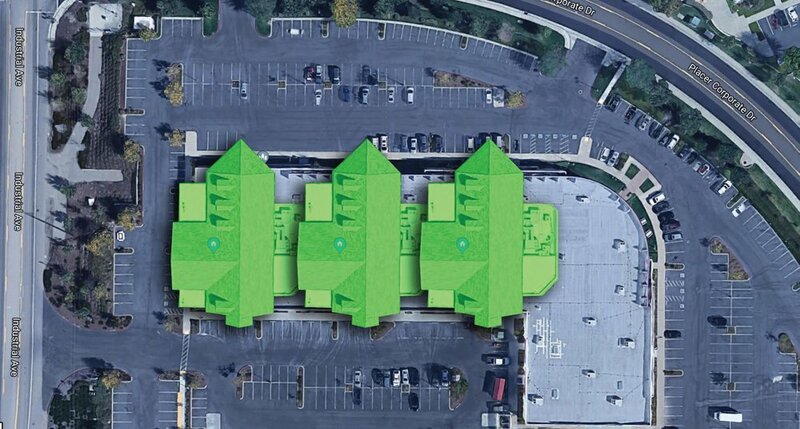 we would initially occupy is nearly three times the size of the existing building. Our current mortgage is $10,500 per month. If we keep our current space and build, we’ll gain a bit more than double our current square footage and increase our monthly mortgage costs $38,000 per month, or $456,000 a year. If we were to build, our total monthly payment would increase to $45,000 per month, or $540,000 a year. If we raised $1.0 million in a capital campaign, our monthly payment would be about $39,000 or $468,000 per year. We’d triple the space we have now with a lower monthly commitment of $14,948 as you’ll see in the chart on the next page. This is due mostly to the tenants who occupy space in the building and have a long-term lease. This would not impact the area we would move in to initially, and that suite could be annexed in the future when we need more space. 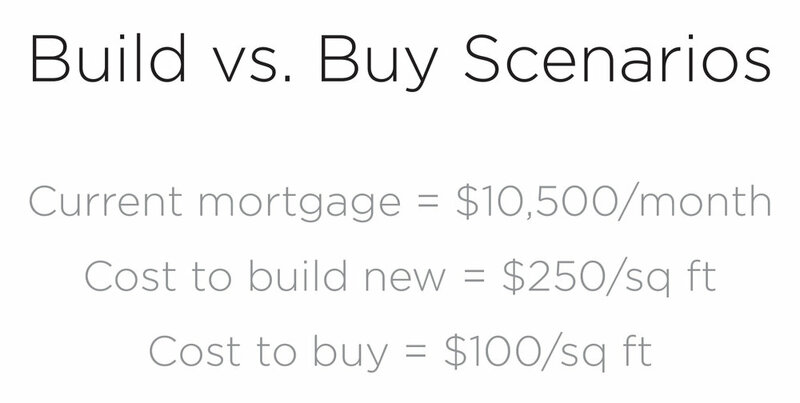 Monthly savings compared to constructing a building on Lonetree Blvd. would be $30,199, or an annual savings of $362,388. paying now per month. Our new payment would be $8,888. That would give us three times the space we have now for less than the cost of $10,500 per month for our current building. This includes the estimated cost for moderate remodeling to make the new building have a “St. Matthew feeling,” which we all love so much. We have a unique opportunity to triple our space for ministry and outreach, along with an option to add more space later if we need it by expanding in to the space of the tenant we would be leasing to. We can do so with significantly less monthly financial risk—a 66% less monthly commitment, a savings of $30,199 per month. That’s $362,388 per year. Over 10 years that’s more than $3,600,000. Imagine the discipleship, ministry and community outreach activities we could carry out with that $362,388 savings per year! Our church – the pioneering people of St. Matthew – is blessed to once again decide how we should find room for those who continue to join us on our mission with Jesus. Many options were studied and evaluated for increasing space. In financial terms, purchasing this building best aligns with our mission as a congregation. Rather than spending our money on an outsized mortgage we will be able to spend our money doing more of the work God has called us to do: Making disciples who make disciples. We will be able to prioritize ministry and mission and relationships while wisely managing the financial resources God has provided. For all these reasons the Governing Board recommends that St. Matthew purchase the new building and sell our present property so we may continue Sharing Life, Creating Friendships and Inspiring Hope. God is growing our congregation and we are blessed to be able to make such a choice. We need a new place with more space that will have the same grace. You are welcome to email the Governing Board with any questions at the-board@StMatthewRocklin.com.